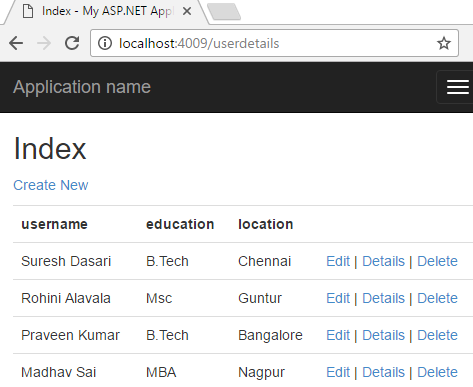 By using entity framework we can perform CRUD (insert, update, delete) operations on database tables in asp.net mvc easily without writing any cod for that first design userdetails table in database and insert some data like as shown below. 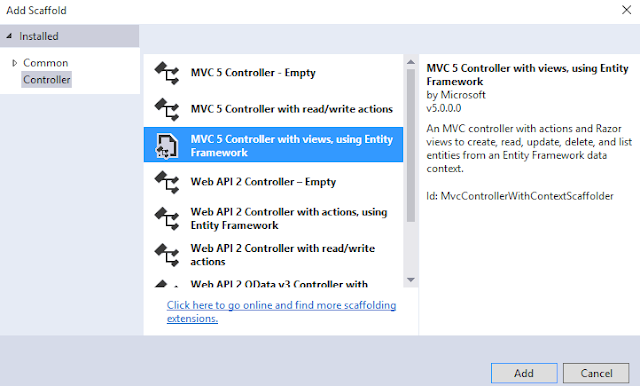 Once “Entity Framework” installation completed means it will show Green tick icon like as shown below. 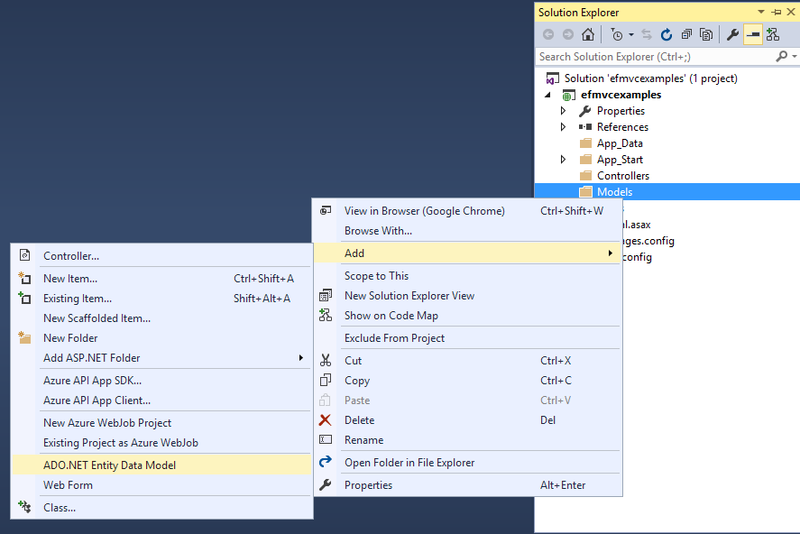 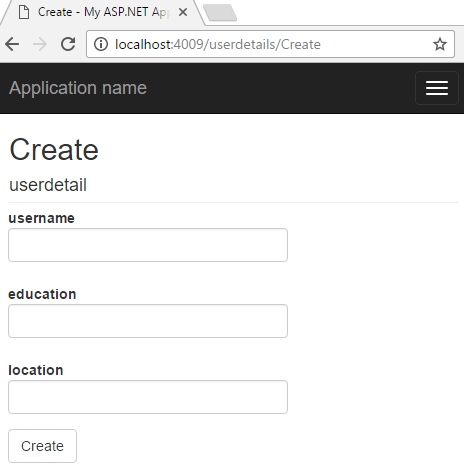 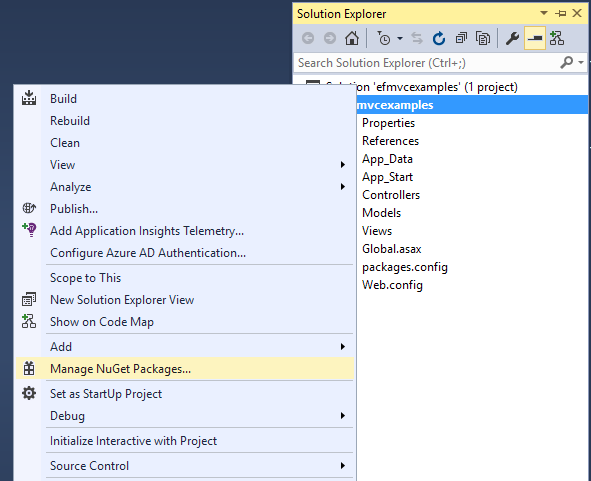 Once we click on ADO.NET Entity Data Model new popup will open in that enter name of model like as shown below. 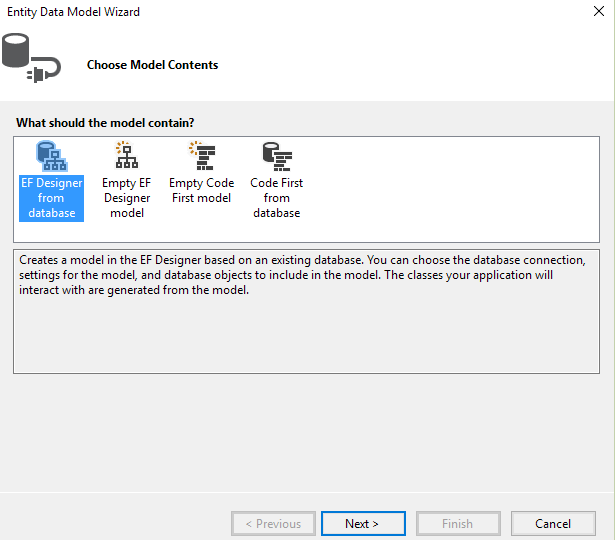 Once we enter name for model click OK button new popup will open in that select “EF Designer from Database” and click Next button like as shown below. 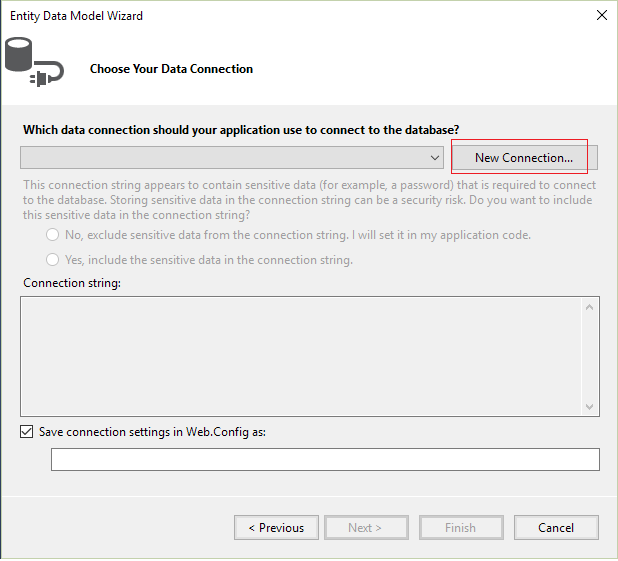 In next window, we need to configure required database connection for that click on “New Connection” like as shown below. 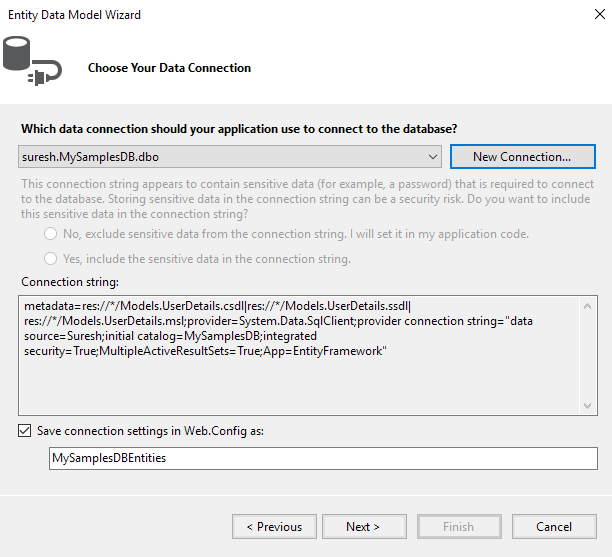 Once we click on “New Connection” new popup will open in that configure required database like as shown below. 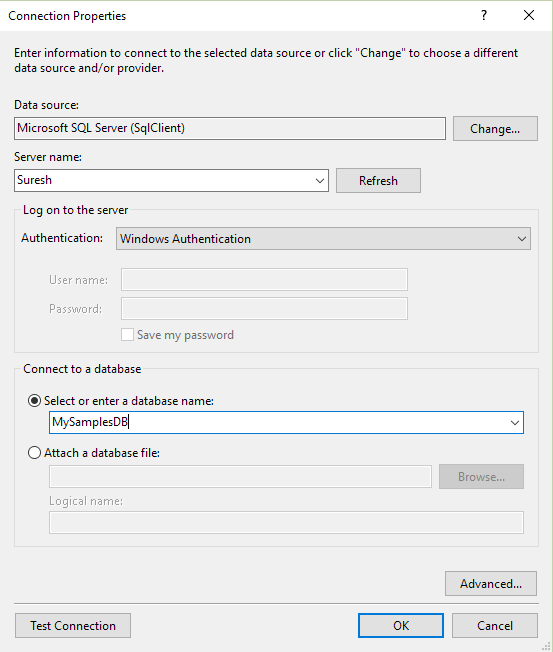 Once server and database configuration finished click on OK button then it will format database connection like as shown below. 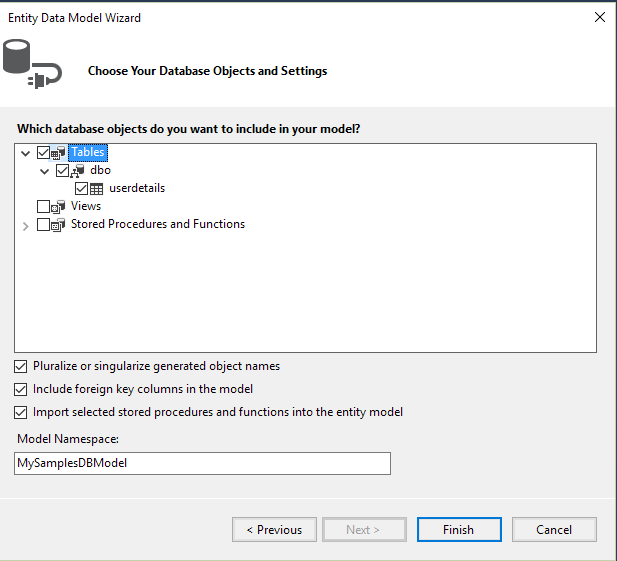 In case if you need different name for entity model then you can give your custom name and click Next to select required tables to use it in our application. 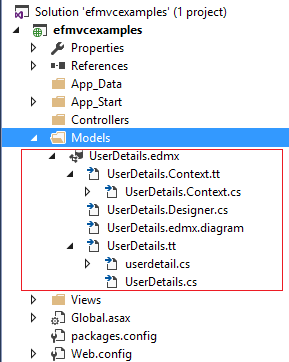 Once we select required tables click Finish button then it will create required dbcontext files and model files like as shown below. 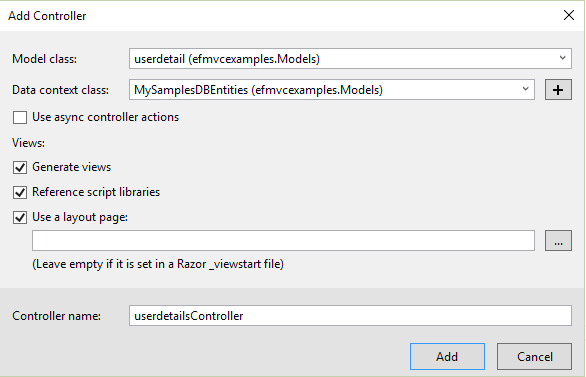 Once we click on Controller new popup will open in that select MVC 5 Controller with views, using Entity Framework and click Add like as shown below. 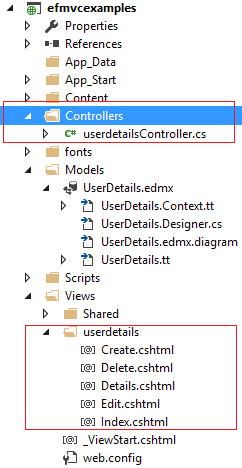 Once we add controller automatically views will create like as shown below we don’t need to write anything everything created by Entity Framework. 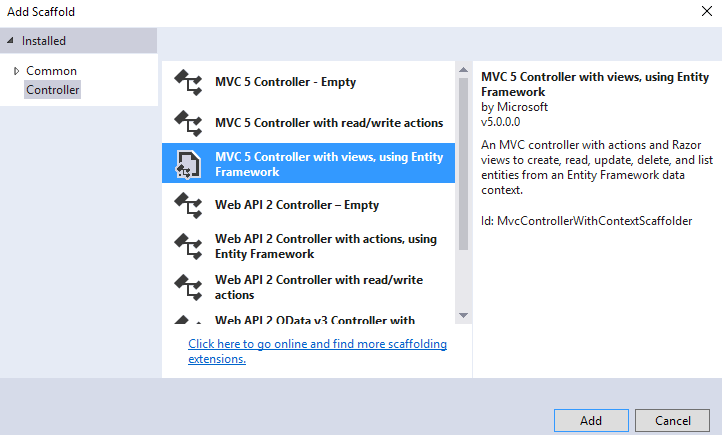 That’s it we done don’t need to write any code automatically everything configured by Entity Framework. 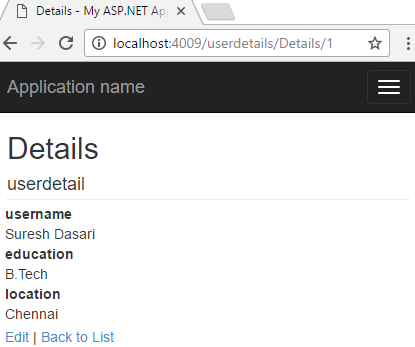 This is how we can use Entity Framework in asp.net mvc to perform CRUD (insert, update, delete) operations based on our requirements. 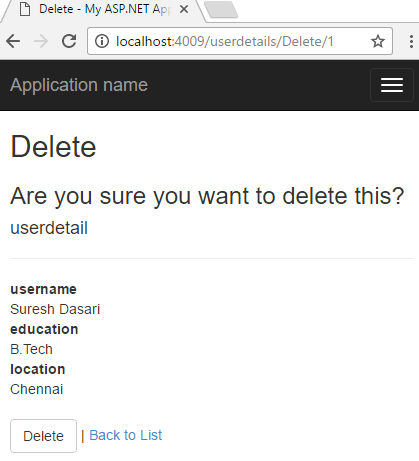 it's very helpful to understand CrudOpeariton thanks....! 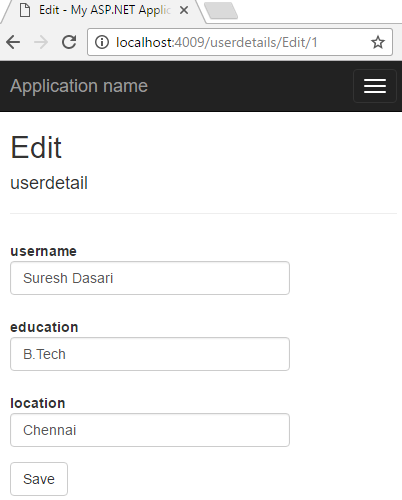 could you able to provide view code for this example. 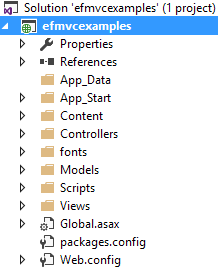 I could find add ado.net entity data model.